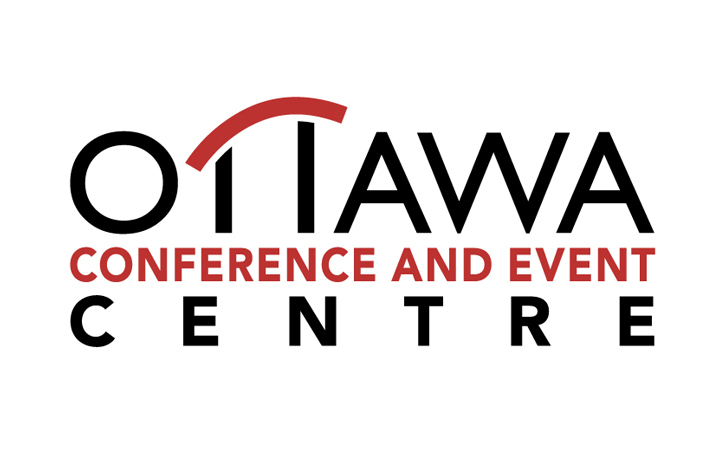 Join us at the Ottawa Conference and Event Centre for Mari-Tech 2019! 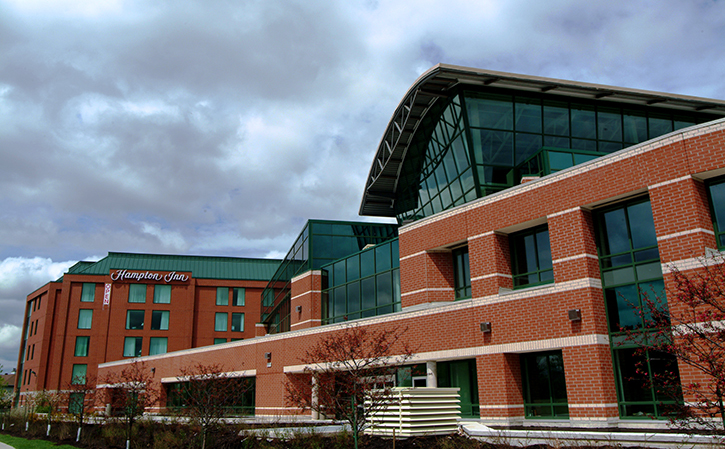 The OCEC is a state of the art facility with a unique architectural design. 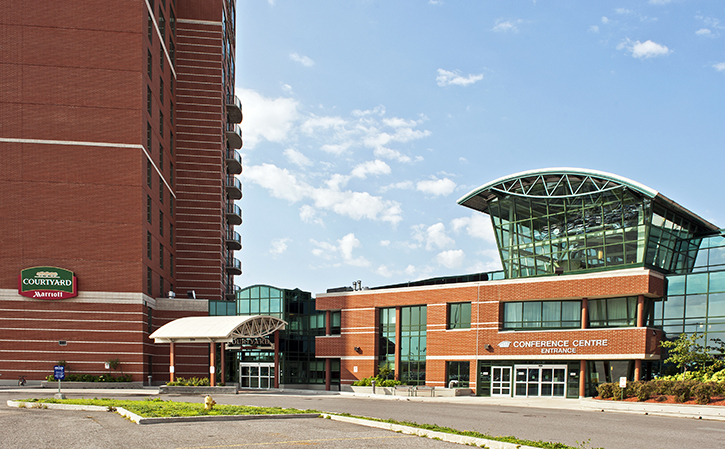 The captivating windowed atrium is a beautiful backdrop for Mari-Tech 2019 and is conveniently located 2 minutes from Highway 417, under twenty minutes from the airport, and 5 minutes to the centre of the city. Oh, and did we mention the free parking? The OCEC is fully wheelchair accessible with an automated sliding glass door front entrance, accessible washrooms, and elevators with plenty of space for Para-Transpo bus drop offs and pickups. 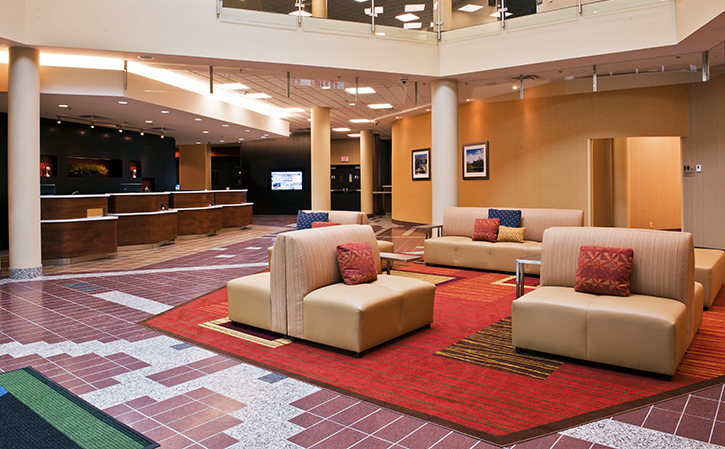 Discover one of Ottawa’s newest hotels, the Marriott Courtyard Ottawa East. Located at 200 Coventry Road, it is conveniently connected to Ottawa Conference and Event Centre. Away from congestion and crowds, the Marriott Ottawa East provides you with a refreshing opportunity to experience choices and flexibility like never before. Complimentary high-speed internet is available throughout the hotel and parking is free. Hotel room rates are subject to provincial and local taxes and fees in effect at the time of check-out. These rates are applicable from April 22 to 24, 2019. The Mari-Tech 2019 special hotel room rate has expired but you’re still in luck. Rooms are available at the Marriott Courtyard Ottawa East at market rates by calling the hotel at (613) 741-9862 or visiting the website. Complimentary parking is available onsite.